Prevent harmful RADS by finding and equipping the Hazmat Suit in Fallout 76. In Fallout 76, one useful item of clothing you’ll want to find early on is the Hazmat Suit. With enemies like the Scorched carrying radiation, and with tons of radiation-filled areas, you’ll want anything and everything that can help prevent your RADS from climbing too high. While the Hazmat Suit won’t prevent any RADS accrued from eating certain foods, it can be useful for exploring dangerous areas in Fallout 76. Wondering where this Hazmat Suit can be found? We’ve got you covered! Below, we’ve put together a quick guide on where to find the Hazmat Suit in Fallout 76. The Hazmat Suit can be found at the Poseidon Energy Plant WV-06 in Fallout 76. In Fallout 76, you’ll want to take the time to find the Hazmat Suit relatively early on. By having the Hazmat Suit in your inventory, you can equip it whenever you need to explore irradiated areas. As expected from an item as useful as the Hazmat Suit, it can be somewhat difficult to find. To find a Hazmat Suit, we recommend exploring the Poseidon Energy Plant WV-06. The Poseidon Energy Plant WV-06 can be found by heading South of Flatlands on Route 59 over the New River Gorge Bridge. On your Map, the Poseidon Energy Plant WV-06 is marked as a large, industrial-looking building (as seen in the image above). To make finding it even easier, you can click on the building to create a Waypoint which can be followed until you reach the Poseidon Energy Plant WV-06. Note that you don’t actually need to explore the interior portions of the Poseidon Energy Plant WV-06 to find the Hazmat Suit. Instead, the Hazmat Suit can be found just outside and on top of the Poseidon Energy Plant WV-06. To reach the area where the Hazmat Suit is located, head to the building’s Main Entrance, then make a left and climb the set of ramps leading up and around to the roof. On the roof, there's a trailer that serves as a sort of makeshift office building. 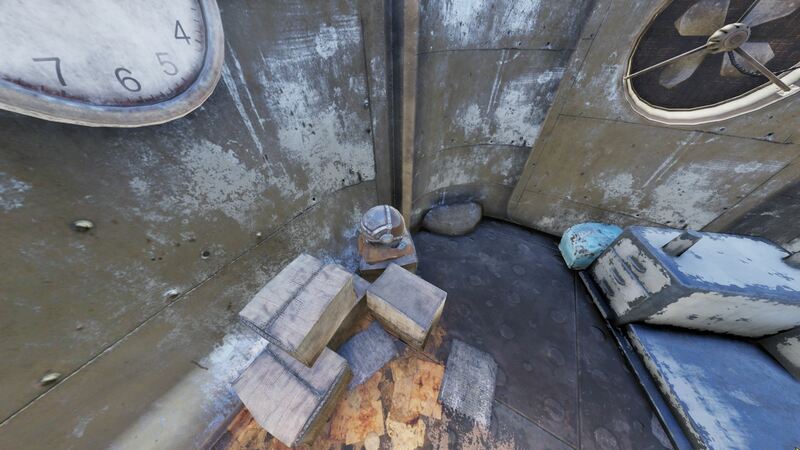 Search the boxes near the wall clock, and in doing so, you should be able to find and collect the Hazmat Suit. If the Hazmat Suit doesn’t appear for you, it’s possible another player swooped in and grabbed it (similar to Power Armor spawns in the game). The Hazmat Suit can be found atop a stack of boxes in a trailer on the roof of the Poseidon Energy Plant WV-06 in Fallout 76. In this instance, you can Fast Travel to a different location like Flatlands, then Fast Travel back to the Poseidon Energy Plant WV-06 to see if the Hazmat Suit has respawned. Once you have your Hazmat Suit, be sure to use it whenever you explore areas with high radiation. It can also be used when fighting against large clusters of irradiate enemies like the Scorched. Note that the Hazmat Suit can only be worn if you're at Level 10 or above. Of course, you can add it to your inventory at any level. By using the Hazmat Suit at Level 10 and above, you’ll be able to avoid harmful RADS and reduce the amount of RadX and RadAway you need to use. So, were you able to find the Hazmat Suit at the Poseidon Energy Plant WV-06? Have you had the chance to use it yet? If so, what do you think? Let us know down in the comments below! 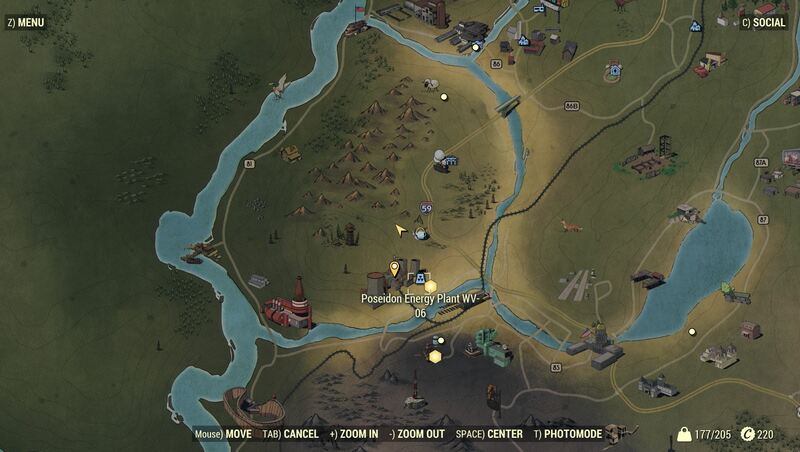 For more on Fallout 76, be sure to check out some of our previous guides including how to make Purified Water in Fallout 76, how death and respawns work in Fallout 76, and how to Fast Travel in Fallout 76. By reading through this guide, you should now know where to find the Hazmat Suit in Fallout 76.